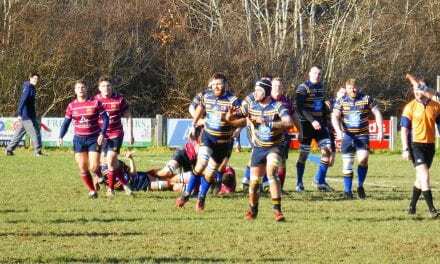 We are looking for supporters and volunteers to join us Sat 18th May 2019. We will be walking along the beautiful East Kent Coast to raise funds for Motor Neurone Disease (MND) in East Kent. Adian Powell who lives with MND and his sister Cath, the main organiser of the walk. Motor neurone disease (MND) is a devastating neurological disease affecting the motor neurones. Over 50% of people diagnosed with MND will die within 2 years and others will suffer progressive debilitating loss of movement, speech, breathing and eating abilities. The MND Association exists to support people living with this incurable illness, by providing opportunities to meet others affected, by providing information, goods and services people living with MND, their carers and families. We also lobby local and national government to ensure people living with MND get necessary services and support research for a cure. We raise funds to support the provision of these services in East Kent and we are looking for people to support us in these endeavours, by walking to raise sponsorship. Our walk will be from Whitstable to Broadstairs approximately 24 miles, alternately you may walk from Minnis Bay to Broadstairs approximately 11 miles or from Margate to Broadstairs approximately 6 miles. Entry fee to the walk is £10 which includes insurance, a T shirt and a memento of the day. You can find full details of our walk by visiting www.mnda-eastkent.org.uk/walk19 where you can see a map of our walk, training programs, sponsorship forms and the walk plan. 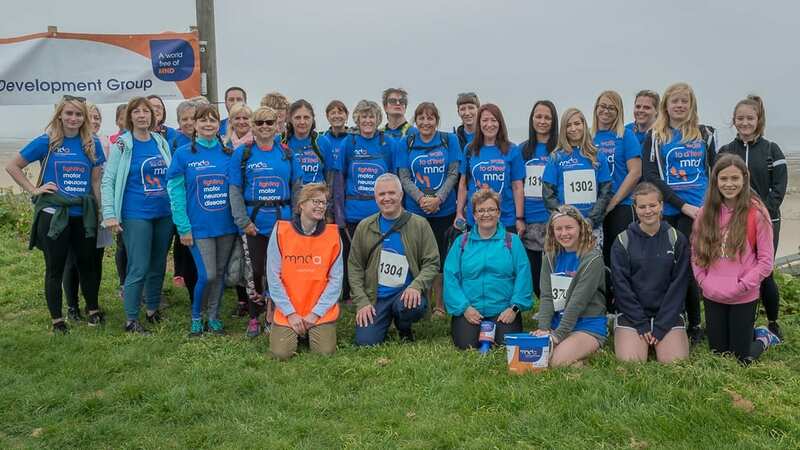 In previous years we have raised over £19,000 to support people living with MND in East Kent and to contribute to research for a cure, we are hoping to exceed £10,000 sponsorship for our walk this year. It is one of over 90 groups around the country offering support to people living with Motor Neurone Disease. We provide advocacy and advice to people with MND and their carers in East Kent. 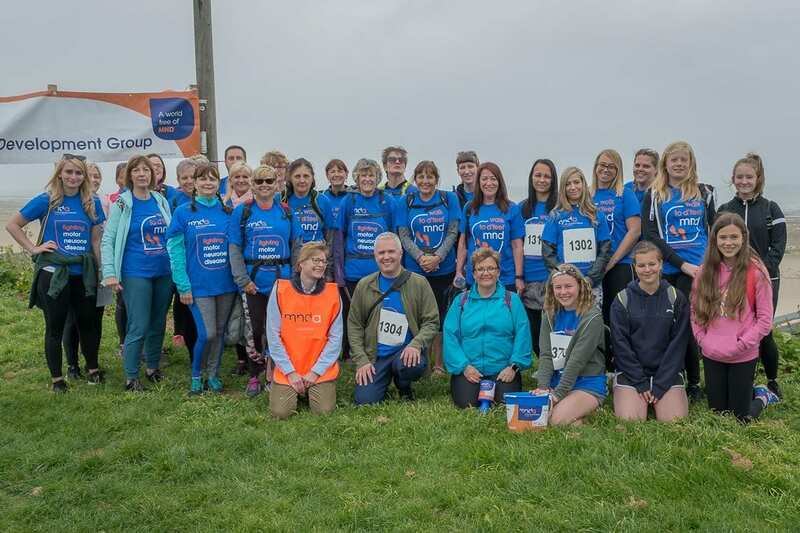 The main activities of the Group are fundraising to provide support and services, aid research and further campaigning to raise awareness of MND. The Group works with health professionals, Social Services and other organisations to ensure people living with MND receive essential services and equipment as speedily as possible. The funds we raise help to provide services and equipment not covered by NHS or Social Services. Some of the funds we raise also go towards research to find a cure for this currently incurable disease. All our members are volunteers and we are always looking for new volunteers. Should you feel able to offer a few hours a week or want to be involved in a specific role or one-off event, we would be delighted to hear from you. 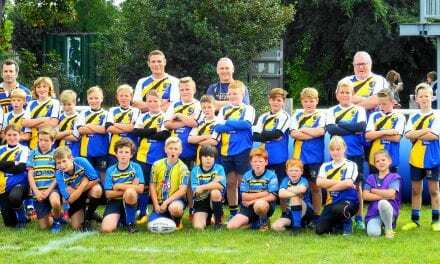 Please contact our Chairman or, if you are outside our area, please contact Claire Tuckett our Volunteering Development Co-ordinator. • MND is a fatal, rapidly progressing disease that affects the brain and spinal cord. • It attacks the nerves that control movement so muscles no longer work. MND does not usually affect the senses such as sight, sound, feeling etc. • It can leave people locked in a failing body, unable to move, talk and eventually breathe. • It affects people from all communities. • Some people may experience changes in thinking and behaviour, with a proportion experiencing a rare form of dementia. • It kills a third of people within a year and more than half within two years of diagnosis. • A person’s lifetime risk of developing MND is up to 1 in 300. • Six people per day are diagnosed with MND in the UK. • It affects up to 5,000 adults in the UK at any one time. • It has no cure. Final Push For Thanet AC in KYAL Athletics League.